There are ‘5 star luxury hotels’, and then there is The Mayfair by Radisson Blu Edwardian. This divine establishment is an icon of expressive contemporary design, which brings together boutique attention to detail with grandeur hotel service. 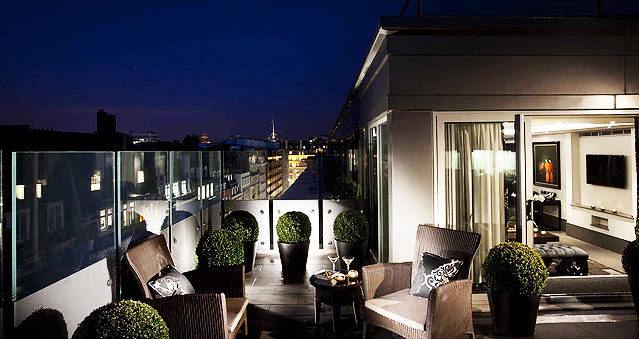 The Radisson Blu Edwardian Mayfair is a legendary luxury hotel with a glamorous past. The Mayfair was first opened by King George V in 1927 and offers over 400 luxury hotel bedrooms, including 12 of the capital’s most memorable hotel suites, a discreet spa, Mediterranean-inspired restaurant and the quintessential London Casino. Ideal for: Stocks in the City, Mixology, The Ultimate Team Build, The Killing, Around the World, Escape the Box, Murder Mysteries, Ipad Movie Making and much more!